LONDON, June 25 (Reuters) - Perhaps the most frustrating aspect of much western comment on the unfolding crisis in Iran has been its over-simplification and lack of historical awareness. Perspectives are shaped by a single issue (western concerns about whether Iran is pursuing a nuclear weapons programme) and the desire to draw a simple Manichean distinction between good guys (liberal-democrats) and bad ones (clerical-authoritarians). Part of the problem is a truncated sense of history. For most western commentators, the history of Iran's troubled relations with the west starts in 1979 with the triumphant return of the glowering Ayatollah Ruhollah Khomeini at the head of the revolution which swept away Shah Reza Pahlavi's western-backed regime and replaced it with a new Islamic Republic. Western anxiety was compounded by the 444-day American hostage crisis that helped destroy the presidency of Jimmy Carter, and humiliated a United States still reeling from defeat in Vietnam and the Watergate crisis. Iran and the United States soon became embroiled in a series of proxy conflicts fought in Iraq, Lebanon, and via terrorist attacks on U.S. targets. But for many Iranians the country's troubled relations with the west can be dated further back -- to at least the CIA-backed coup against Prime Minister Mohammed Mossadegh in 1953. It marked a crucial turning point in Iranian history, something a bit like the Prague Spring, in which a popular, reforming and democratising but also nationalist prime minister, who believed Iran should control the exploitation of its own petroleum resources, was removed by western intelligence agencies anxious to protect their countries' interest in the oilfields. The Pahlavist regime which replaced Mossadegh may have been modernising and reforming, but it was also absolutist, dissolute and corrupt, and the Shah's secret police, the SAVAK, ruthlessly hunted down and murdered opponents at home and abroad. While Pahlavist exiles abroad promote the memory of a modernising golden age, there is no enthusiasm for monarchist restoration at home, and the Shah went into exile largely unmourned. Criticism of the Shah's regime was never confined just to religious conservatives. Even liberals were critical of the excesses of the Peacock Throne. Iran therefore has no reason to love the western powers. Subsequent events have deepened the mutual suspicion. When Iraqi President Saddam Hussein launched an unprovoked aerial attack on Tehran in 1980 and sent the Iraqi army across the Shatt al-Arab in a brutal war of aggression designed to exploit the turmoil and internal weakness of the fledgling Islamic Republic, the western powers stood aside. When Iran's regular army and the volunteer forces of the Revolutionary Guard and the basij (the same groups now being used to suppress the protests) drove Iraqi forces back across the border and then moved into the al-Faw peninsula and began to threaten Iraq's second city of Basra, Iraq resorted to chemical weapons -- first the nerve gas sarin and then, when Iranian soldiers were given atropine-filled syringes as an antidote, switching to mustard gas. Still the west did nothing. 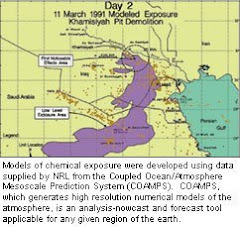 In fact, western companies were busy supplying the precursors Iraq needed to make its chemical arsenal and breach the Geneva Protocol. Meanwhile, western intelligence agencies were supplying Iraq with satellite reconnaissance photographs to aid the war effort. Funding was catalysed from friendly regional regimes to support Iraq's faltering war effort and avert the risk of an outright Iranian victory. 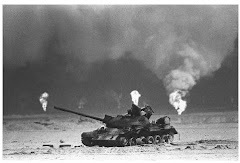 To counter Iran's successes on the ground, Iraq's air force began strategic bombing of Iran's cities, then switched to missile attacks on Tehran using Scuds, as Iran suffered its own version of the blitz. None of this is to suggest Iran did not commit atrocities of its own, or to take Iran's side over Iraq. But when western leaders condemn Iran's alleged quest for "weapons of mass destruction" and fulminate against Iran's missile programme, they betray a startling lack of perspective. Some estimates put the number of Iranian soldiers who fell victim to chemical weapons as high as 100,000. Total casualties (killed or wounded) are put as high 1 million. When Iran accepted a UN-mediated ceasefire proposal in 1988, Khomeini not unreasonably likened it to drinking a cup of poison. Given this history, western leaders are in no position to deliver credible moral lectures, and it is hardly surprising that Iran's leaders and media mutter darkly about western interference. Nor is it surprising that the Obama administration, seeking to improve relations, has been anxious to avoid the impression of meddling.